John (Jack) Trigg's national litigation practice focuses on complex business litigation, product liability, and class actions. He represents major corporate defendants as national trial counsel and has tried cases to juries in many state and federal courts during his career. He also focuses on risk-management and design and analysis of document retention and control programs. Additionally, Jack handles large and frequent claims arising out of alleged recurrent design, manufacturing defects, or recall problems. Active in numerous bar organizations, Jack is past president of Lawyers for Civil Justice and past president and chairman of the board of the Federation of Defense and Corporate Counsel. He is a former member of the board of directors of the Defense Research Institute. He is a Fellow of the American College of Trial Lawyers. In 2001 he was awarded the Outstanding Alumnus Award by the University of Denver College of Law. 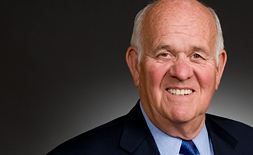 In 2003 he received the first Lifetime Achievement award from the Denver Business Journal's Best of the Bar. Jack is consistently included in lawyer ranking directories such as Chambers USA, The Best Lawyers in America, and Colorado Super Lawyers. Jack Trigg is known for a long career of high-stakes product liability defense nationwide. 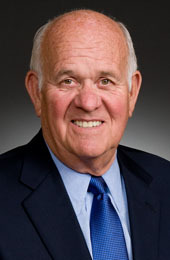 Throughout his career, he has served as trial counsel to companies including Ford, Motor Coach Industries, and Volvo. Jack has represented Ford in two certified class action jury trials in California, one lasting four months and the other spanning 10 months. State Farm v. Griggs, 419 P.3d 572 (Colo. 2018) - Won an "extraordinary remedy" from the Colorado Supreme Court reversing a trial-court order implying a waiver of the attorney-client privilege. The unanimous opinion establishes that the mere "fact that privileged information might become relevant in a given lawsuit could not alone be enough to establish an implied waiver." Defended a major motorcoach manufacturer in multiple-fatality rollover crash litigation involving extensive document production. Granite State Insurance v. Ken Caryl Ranch Master Association, 183 P.3d 563 (Colo. 2008) - Successfully appealed to the Colorado Supreme Court a case WTO won at the trial court level, but which was reversed by the Colorado Court of Appeals. Following arguments, the Colorado Supreme Court's published opinion restored the complete victory for the insurer in this precedent-setting case of first impression and made it easier for commercial property insurers to understand and follow Colorado's statutory notice requirements. Represented footwear manufacturer Crocs in nationwide litigation involving allegations of defectively designed footwear and failure to warn with respect to alleged risks associated with wearing the shoes on escalators. Represented Ford Motor Co. in a 10-month, nationwide class action jury trial in California involving thick film ignition modules in 12 million vehicles. The trial ended in a hung jury. Defended Ford Motor Co. in a Missouri class action involving automobile transmissions. Won dismissal for Ford Motor Co. in an Alabama class action involving the Bronco II. Represented defendants in the Dupont Plaza Hotel fire that killed 97 people in Puerto Rico. Represented defendants in claims relating to the Beverly Hills Supper Club fire, which killed 168 people in Southgate, Kentucky. Defended Mobay Chemical Company (then a subsidiary of Bayer) against claims arising from the Sunshine Mine disaster. The catastrophic fire in the Idaho silver mine killed more than 90 miners. After a four-month trial, all claims against Mobay were dismissed. "Protecting Your Company in Global Product Litigation Concerning Foreign Imports: What Happens When the Attorney General Gets Involved?" presented at Product Liability Advisory Council Spring Conference (April 9, 2008). "Overview and Psychology of a Personal Injury Damage Case," presented for Trial Masters Program at Federation of Defense and Corporate Counsel Winter meeting (March 2007). "Unfair Competition Laws and Attorney General Investigations," presented at Product Liability Advisory Council (April 2005). "Privileges and Protections Under Assault," presented at Federation of Defense & Corporate Counsel's Corporate Counsel Symposium (September 10, 2004). "Truth v. Perception - Personal Litigation Experience: Media Influence on Litigation," presented at Trial Attorneys of America (June 2004). "Product and Drug Liability in the European Economic Community," presented at Joint International Conference, Barcelona, Spain, FDCC/IADC/DRI (May 10, 2004). "Litigation Theories of the Future," presented at Defense Research Institute (2004). "Powerpoint in the Courtroom," presented at Faculty of Federal Advocates (September 20, 2002). "Locating the Line Between Police Power and Regulatory Power: Judicial Authority to Issue Mandatory Recall Injunctions," presented at Emerging Issues in Motor Vehicle Product Liability Litigation Conference (March 21, 2002). "Perils and Pitfalls of California's Unfair Competition Law Bus. and Prof. Code § 17200," presented at International Association of Defense Counsel midyear meeting (February 2001). "Chairman; Opening Remarks," presented at Lawyers for Civil Justice 2000 New York Conference and Meeting (November 9, 2000). "Ethics and Risks in Litigation," presented at the Federation of Insurance and Corporate Counsel Conference (1998). "Common Discovery Tactics Used by Plaintiff's Attorneys and Methods to Combat Them," presented at the Defense Research Institute Conference (1998). "Crime Fraud," presented at Defense Research Institute (October 11, 1996). "Litigation Management: Whose Responsibility?" presented at Federation of Insurance and Corporate Counsel Litigation Management College (June 24, 1996). "The Lawyer's Role is to Produce a Winner," presented at American Bar Association Conference (1995). "Handling Comparative Fault in Enhanced Injury Cases," presented at National Conference on Products Liability Law (March 26, 1993). "Ethical Considerations in Defending International Clients," presented at Federation of Insurance and Corporate Counsel (February 24, 1993). "Product Liability in Colorado in 1988: A Look at the Statutes and Case Law," presented at Hall & Evans Litigation Seminar (1988).